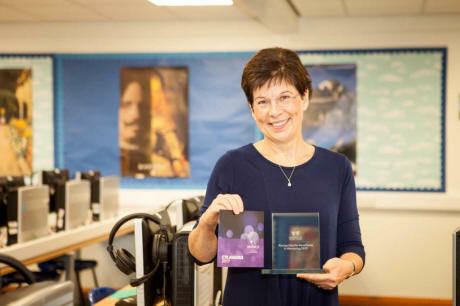 A TEACHER from Leamington has been recognised with a mentoring award. Sarah Baggott, from Trinity Catholic School, was honoured with the award from Warwick University which recognises those who go above and beyond to support trainee teachers. Sarah – who is the school’s link with teacher trainees – won the votes of PGCE students at the university for the ‘Best Mentor’ trophy.